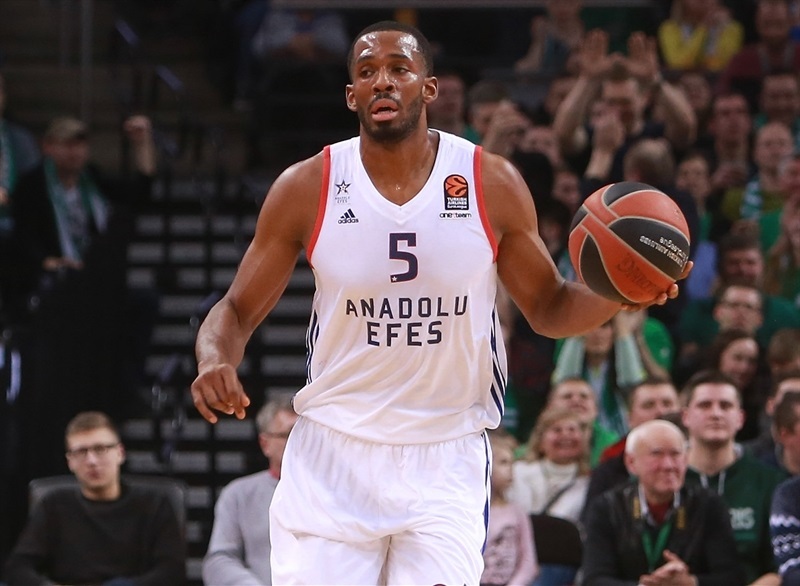 Anadolu Efes Istanbul took another step towards qualifying for the playoffs by topping Zalgiris Kaunas 68-76 on the road on Tuesday. 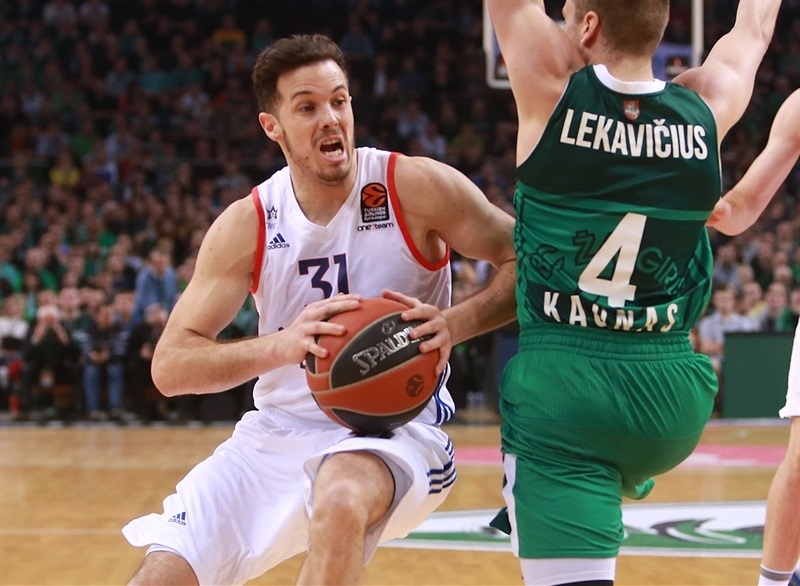 Efes improved 15-12 in the standings while Zalgiris dropped to 12-15 and saw its own playoff hopes dealt a crippling blow. 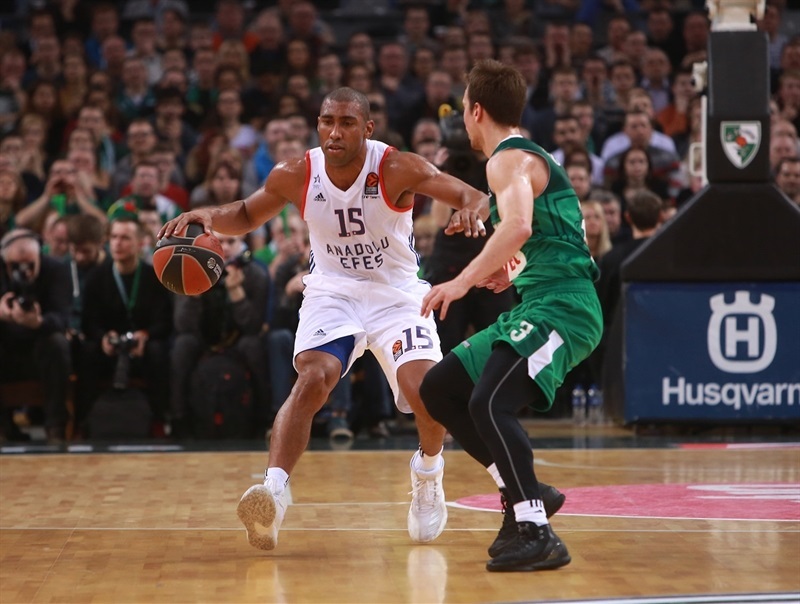 Jayson Granger led the winners with 25 points and 8 assists, Derrick Brown added 13 points, Brandon Paul had 12, Bryant Dunston posted 10 points and 9 rebounds and Tyler Honeycutt pulled down 12 boards for Efes. 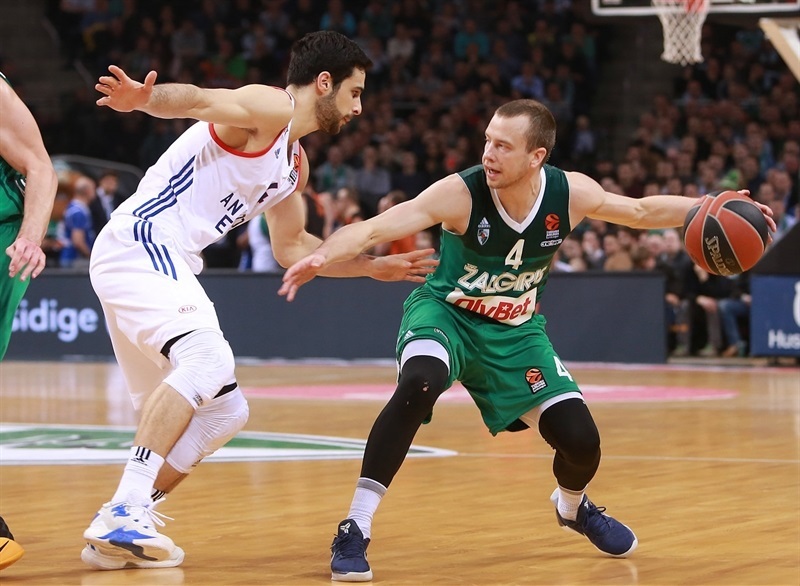 Lukas Lekavicius led Zalgiris with 11 points and Edgaras Ulanovas added 10 for the hosts. Zalgiris finished the first half with excellent shooting percentages, including 6-of-11 from downtown (54.5%) to take a 44-41 lead. 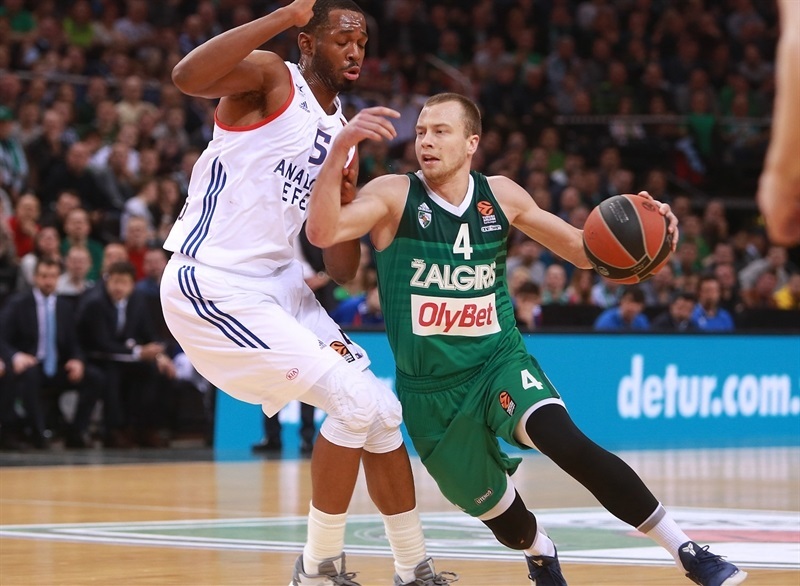 It all changed after the break, as Zalgiris hit 7-of-22 two-point shots (31.8%) and 1-of-9 from beyond the arc (11.1%), which allowed Efes to control the game in the final minutes. Back-to-back three-pointers by Dogus Balbay and Granger gave Efes an early 2-6 lead. Cedi Osman took over with a turnaround jumper and Granger soon boosted the visitors' lead to 4-12. Paulius Jankunas rescued Zalgiris with a jumper and a layup and got help from Antanas Kavaliauskas and Kevin Pangos to bring the hosts within 13-15. Arturas Milaknis scored twice in penetration to ignite a 9-0 run, which Ulanovas capped with a bomb from downtown for a 22-17 Zalgiris lead after 10 minutes. Brown hit his trademark step-back jumper and DeShaun Thomas added a jump hook, but Lekavicius, Brock Motum and Ulanovas each hit from beyond the arc to make it a double-digit game, 32-21. 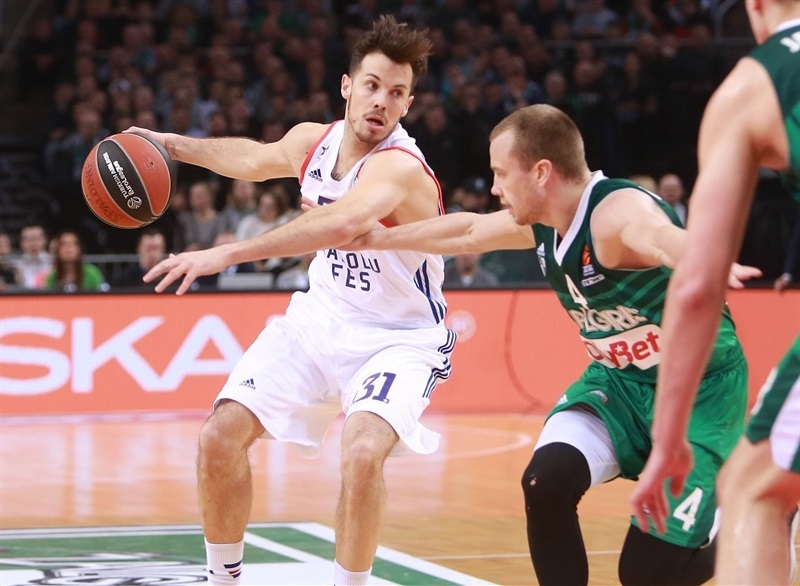 Dunston scored twice around the basket and Paul struck twice from downtown to bring Efes back to life at 36-34. Leo Westermann hit a triple, but Dunston and Brown tied it at 39-39. 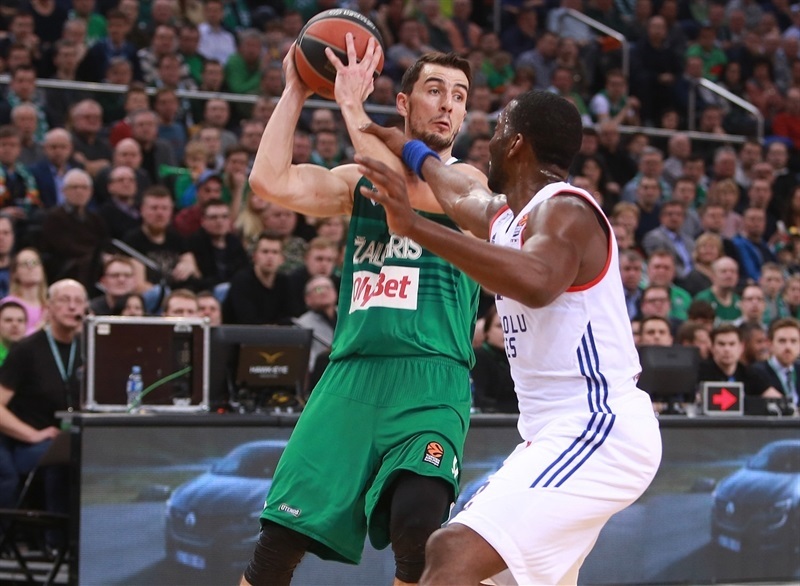 Milaknis followed a jumper with a three-pointer to restore a 44-41 Zalgiris lead at halftime. A jumper by Brown and a dunk by Dunston put Efes ahead 44-45 soon after the break. Granger took over with a driving basket and soon added consecutive jumpers to give the visitors fresh air at 48-51. An unstoppable Granger made it 50-58, but Lekavicius and Jankunas stepped up for Zalgiris and a put-back layup by Kavaliauskas got the hosts within 59-60 after 30 minutes. 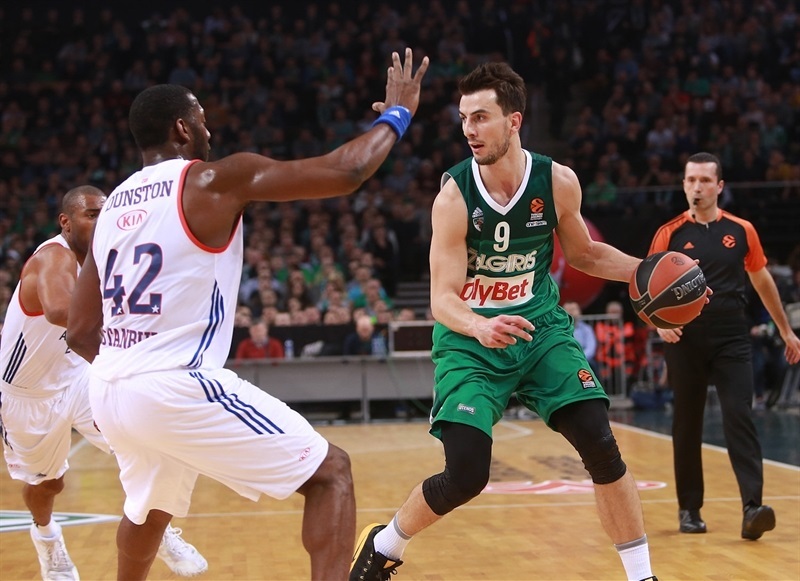 Paul buried a three-pointer early in the fourth quarter, but a put-back basket by Augusto Lima, a floater by Lekavicius and a bomb from downtown by Westermann restored a 66-65 Zalgiris edge with six minutes left. 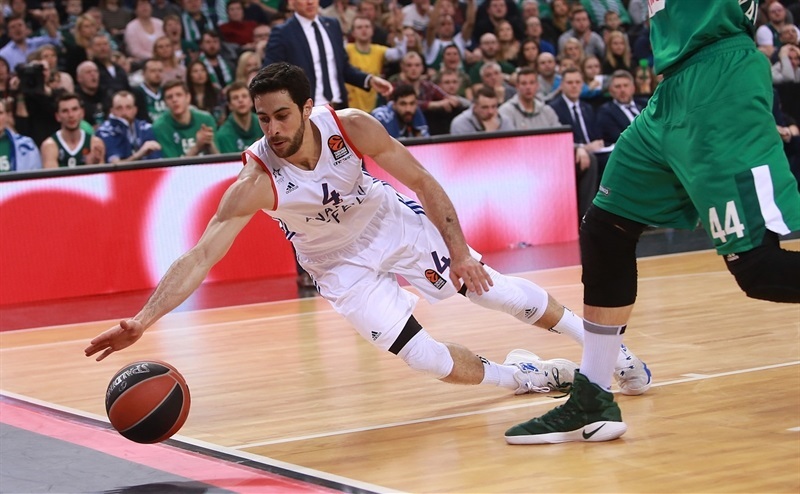 Ulanovas made free throws, but a put-back jump hook by Dunston and a three-point play by Honeycutt gave Efes a 68-70 edge. 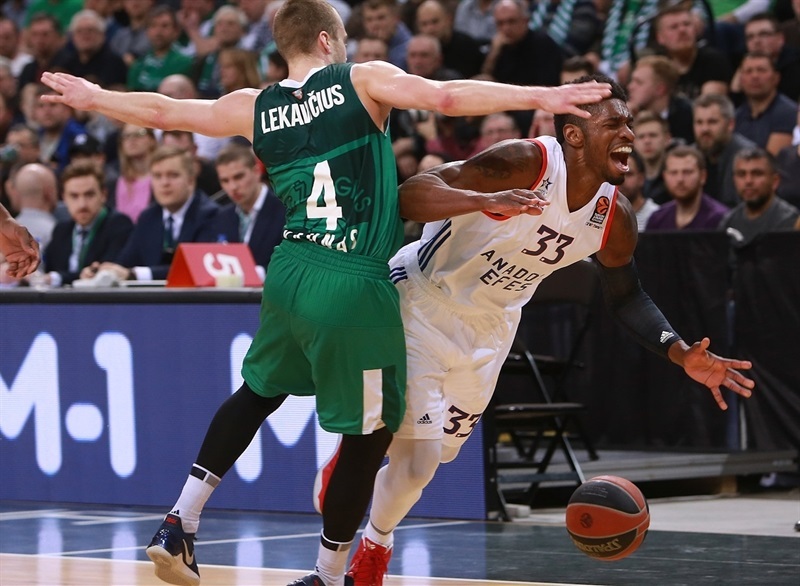 Zalgiris struggled to score when it mattered most, while a layup by Balbay and a jumper by Brown sealed the outcome down the stretch. 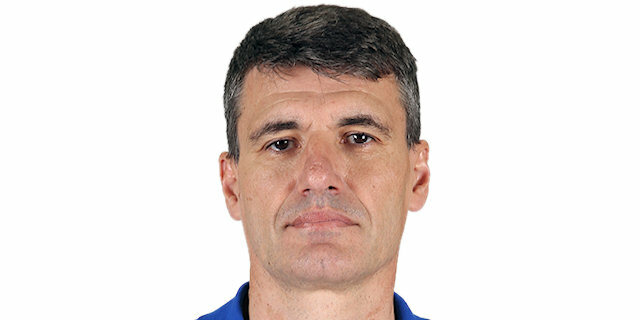 "Congratulations to Efes. At the end, for whatever reasons - maybe more athleticism, maybe more experience - they put the game out. We believe we can still make it to the playoffs and will continue fighting." 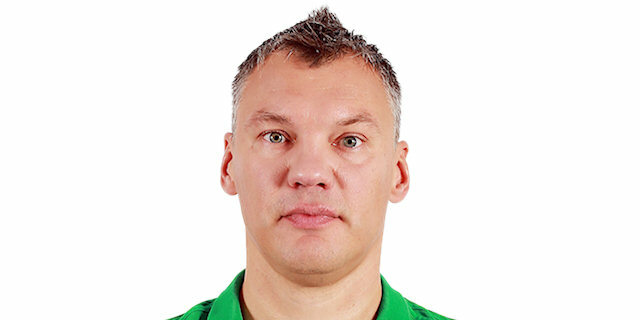 "It was a very tough game, a very important game for both teams. We knew that if we controlled the rebounds, we could be in the game. 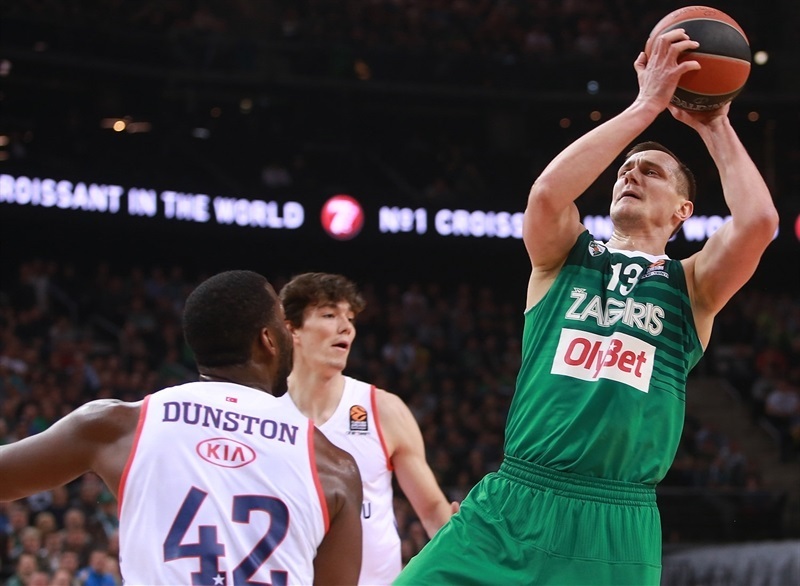 Zalgiris is the best team at that, especially on offensive rebounds, but we were successful at rebounding tonight and had control of the game. They scored too easy in the first two quarters, hitting many difficult shots, but at the end of the game, when the game was decided, they missed some easy shots, which is normal when you play very important games like this one was. We still have three more games and everybody with chances to qualify must think about the next game. We now have a great opportunity, but nothing is finished." "We controlled our board in the second half and that was one of the keys to this win. Players like Tyler Honeycutt and Derrick Brown did a great job in the second half and they helped us win the game. In our team, one of the keys to give our best is playing defense. We have very athletic, physical guys and every time we play physical, we dominate the rebounds and have a big chance to win the game. It was probably my best game this season because I have been struggling and having a lot of ups and downs. 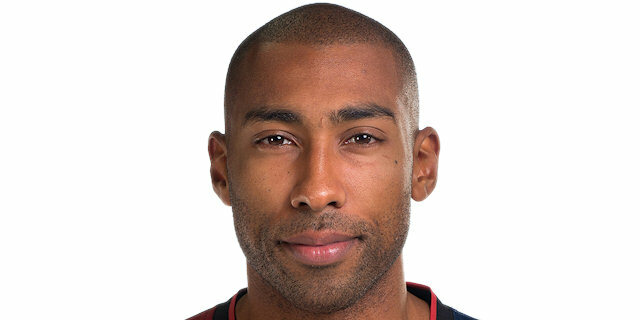 Like I always say, I try to do my best for my team and help." "It was a really tough game for us, especially playing on the road against Zalgiris, with a full gym and in front of a great atmosphere. It was a must-win game for us and everybody that went on the court gave a great effort. We got the win and the next game is against Fenerbahce at home. 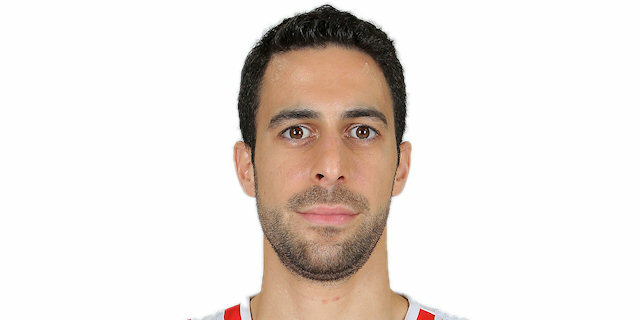 We have to leave this behind and focus on the game against Fenerbahce in order to make it to the playoffs."